Congratulations on taking the first few steps in your NDIS journey! Like with everything new, understanding the NDIS can seem a little overwhelming at first, however we hope that with the following information you can feel better equipped with the knowledge you require to transfer your prosthetic service funding to the NDIS. If you are a person with an amputation or limb loss, and you meet the NDIS’ access requirements, you can become a ‘Participant’ in the scheme. 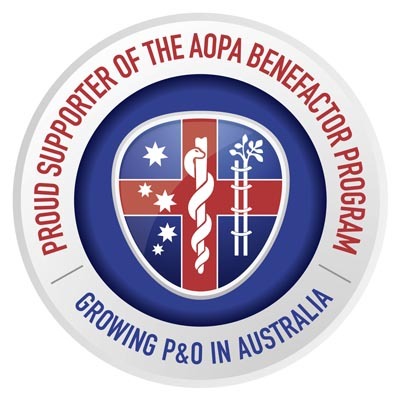 ProMotion Prosthetics is a ‘Registered NDIS Provider’ and currently treats NDIS Participants for both upper and lower limb amputations or limb loss. If you’ve previously been treated under the Victorian (or other State’s) artificial limb program at a Public Department and are interested in transferring to the NDIS, then read on. The NDIS is now fully rolled out in Victoria, including Metro Melbourne. 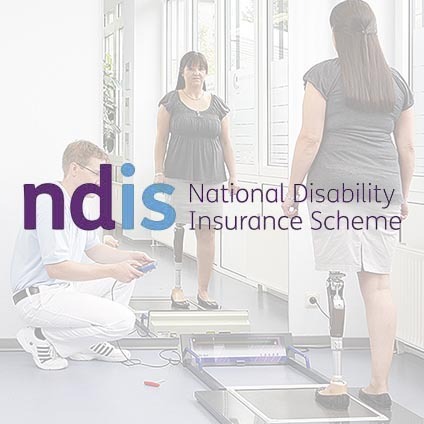 So, if you are thinking about registering with the NDIS, or perhaps you already have and want to know what to do next, here are some resources for you to read, ahead of accessing your plan, funds and prosthetic treatment under the NDIS. If you visit the Am I eligible page, you will find an NDIS checklist to see if you are eligible. If you meet the criteria and you would like to become a participant, call the NDIA on 1800 800 110 or go in person to your Local NDIA office and ask to make an Access Request. You will be required to provide evidence of your disability verified by a medical practitioner, for example your GP. For more information as a Participant under the NDIS you can visit the NDIS website. The NDIS website has some important information to read in preparation for your planning meeting. You can access their website here. Limbs 4 Life has also produced the Amputee Guide to the NDIS, which is extremely useful in preparing for your Planning Meeting. Limbs 4 Life also has a checklist you can print off in preparation for your Planning Meeting. You must also bring along any relevant reports or assessments to your Planning Meeting. It helps the NDIS planner to understand the types of supports you need. It would be preferable to meet with you prior to you having your NDIS Planning Meeting so we can discuss your prosthetic needs. To make a ‘pre-Planning Meeting’ appointment, please contact the office on 03 9532 5098. Attending a Planning Meeting, either in person, or over the phone, is the best way for NDIS to gather all your information, to develop the best plan for you. During your Planning Meeting, make sure you discuss the goals/activities/tasks you want to achieve with your Local Area Coordinator (LAC) or NDIA planner. Goals/activities/tasks are a really important part of your NDIS plan and we will ask you what you would like to achieve. It could be a goal to use public transport independently; a goal to help build your life skills so you can become more independent, or a goal to assist with family or work duties. The Planning Meeting would allow you to highlight any short-term goals or any unmet needs in your current life. If your goals/activities/tasks are medium to long-term, your planner can break them down into short-term goals and help you take ‘smaller steps’ towards achieving those bigger goals. Your LAC or NDIA planner will talk to you about how long it will take to get your approved NDIS plan and the steps you need to take next. The NDIA must approve your NDIS plan initially, then once it is approved, your LAC or NDIA planner will give it to you in person, post or via the MyPlace Portal. Core Supports help you with everyday activities, your current disability-related needs and to work towards your goals. Your Core Supports budget is the most flexible, and can be used for low cost (off-the-shelf) consumables such as stump socks, ointments, cosmetic stockings etc. Capacity Building Supports help build your independence and skills to help you reach your long-term goals. Funding can only be used to purchase approved individual supports that fall within that Capacity Building category. As your prosthetic provider, we would access funds within your Capacity Building budget under the ‘Improved Daily Living’ category – which covers our clinical time for the “assessment, training or therapy to help increase your skills, independence and community participation”. Capital Supports include higher-cost pieces of assistive technology, equipment and home or vehicle modifications, and funding for one-off purchases you may need. The Capital Supports budget has two support categories: Assistive Technology and Home Modifications. Assistive Technology category is where we would access funds for your prosthetic devices – “This includes equipment items for mobility, personal care, communication and recreational inclusion such as wheelchairs or vehicle modifications”. When you have an approved NDIS plan, you need to understand the different support budgets (see above), who can help you start using your plan, and how your plan is managed. The participant has nominated the NDIA to manage the funding for supports provided. After providing those supports, the provider will claim payment for those supports directly from the NDIA via the Provider portal. The funding for any of the supports provided is managed by a Plan Nominee. After providing those supports, the provider will send the participant’s Nominee an invoice for those supports for the participant’s Nominee to pay. The participant has chosen to self-manage the funding for NDIS supports provided. After providing these supports, the provider will send the participant an invoice for the participant to pay. The participant manages the funds via the MyPlace portal. Remember to speak with your LAC or planner about how best to manage the funds in your plan. NDIS will always require a Quote to be submitted by us, for the AT (Prosthetic device) funds to be added to your Capital Supports budget. The quote(s) will be generated following a full assessment; which will take about an hour to go over your goals, your current prostheses and highlight your prosthetic needs in the future. We may collect Outcome Measures at this appointment to help us generate a prescription that best suits your goals. At the time of submitting your Prosthetic AT request paperwork, including your quotes to the NDIA we will request payment under your Capacity Building support budget for our clinical time (including assessment, prescription, AT request paperwork and quotes). Once the AT quote(s) are approved, you will be notified by the NDIA. During the waiting period for funding to be added to your support budget, you may contact the NDIS or your LAC for updates on its progress. We have found that the NDIS encourages self-advocacy and while we are happy to follow things up on your behalf, the NDIS responds best when contacted directly by the participant. Remember, you can also add ‘consent’ for ProMotion Prosthetics in your plan, so that we can contact the NDIA directly on your behalf. Speak to your LAC about this during your Planning Meeting. Once the quote(s) have been approved and the funds added to your Capital (AT) support budget, we can commence the Prosthetic treatment. Your plan will have funds allocated for the remaining months of your (12 month) plan. Once any work has been provided, we will submit a payment request for that work and provide an invoice to you, your plan manager or the agency (depending on how your plan is being managed). The Limbs 4 Life website has excellent information to help guide you through your NDIS journey; from registering all the way through to preparing for your Planning Meeting. You can access their website here. But I already receive my prosthetic treatment at a Public Department, what does this mean for me? You may currently be receiving your prosthetic treatment under a public department, funded by the Government’s artificial limb program, but once you become registered with NDIS you can choose to receive your prosthetic treatment with us at ProMotion Prosthetics. We would be happy to help facilitate the transfer of your Prosthetic treatment, contact us on 03 9532 5098 to discuss your needs. How will the NDIS work for me? NDIS Providers (ProMotion Prosthetics) are registered with the NDIA to deliver a support or product to the participant of the NDIS (you). You have choice and control over the providers you wish to engage with to deliver the supports in your plan. After you are registered, you will be able to choose which Prosthetic provider suits your needs and goals best, and a plan meeting will be arranged between you and a representative from the agency. It is ideal that you make contact with us prior to this meeting, so you are best prepared for the meeting that will be the point by which your plan will be developed and your prosthetic supports related to. You will receive an individualised plan that identifies the outcomes you wish to achieve, the disability supports that will be funded by the NDIS, and other supports you require. Your plan will last for 12 months, and can cover multiple prostheses for you to achieve all your life, family, work and hobby goals. What happens if you disagree with what’s in your plan? You have the right to ask for an internal review of your plan by the NDIA. Your LAC or NDIA planner will explain how to do this and can put you in touch with advocates who can help you with this process. A request for internal review of a decision must be made within three months of receiving notice of the decision from the NDIA. If you have any questions, have registered, or are thinking of registering with the NDIS, get in touch with us today on 03 9532 5098 to discuss your needs.